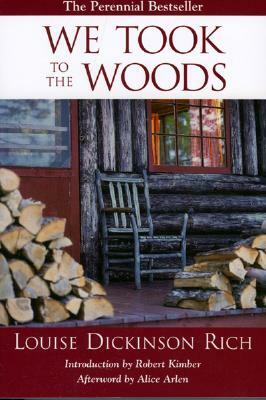 In her early thirties, Louise Dickinson Rich took to the woods of Maine with her husband. They found their livelihood and raised a family in the remote backcountry settlement of Middle Dam, in the Rangeley area. Rich made time after morning chores to write about their lives. We Took to the Woods is an adventure story, written with humor, but it also portrays a cherished dream awakened into full life. First published 1942.